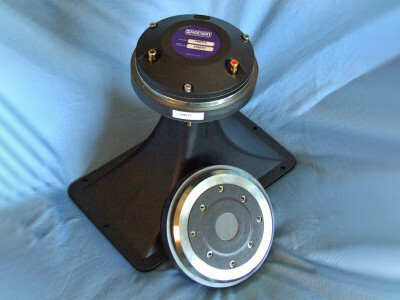 In this Test Bench, Vance Dickason characterized a pro sound 18" ferrite woofer that quickly became one of FaitalPRO's best-sellers. This article was originally published in Voice Coil, January 2014 and it was missing from the online publications that we regularly post on the audioXpress.com website. As Vance Dickason noted at the time, the 18HW1070 is a carefully designed and crafted driver, with an impressive power handling capacity for PA applications. In this edition of Test Bench, we tested FaitalPRO's 18HW1070, a high power handling capacity pro sound 18” woofer. This is the third 18” woofer I have received from FaitalPRO, including the 18HF500 in (Voice Coil, November 2011), the 18XL1600 (Voice Coil, May 2011), and this month the 18HW1700. As with the other two, this woofer looks very good. 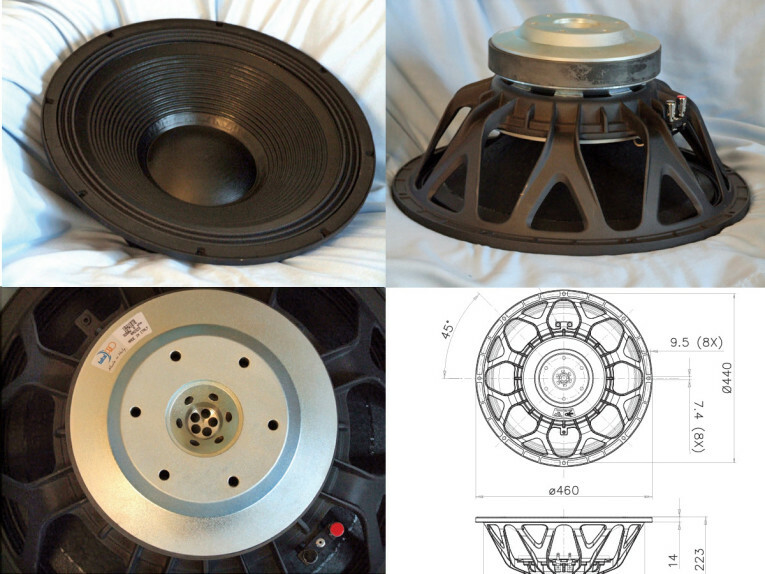 Photo 1: FaitalPRO’s 18HW1070 subwoofer is shown in top (a), bottom (b), and close-up (c) views. 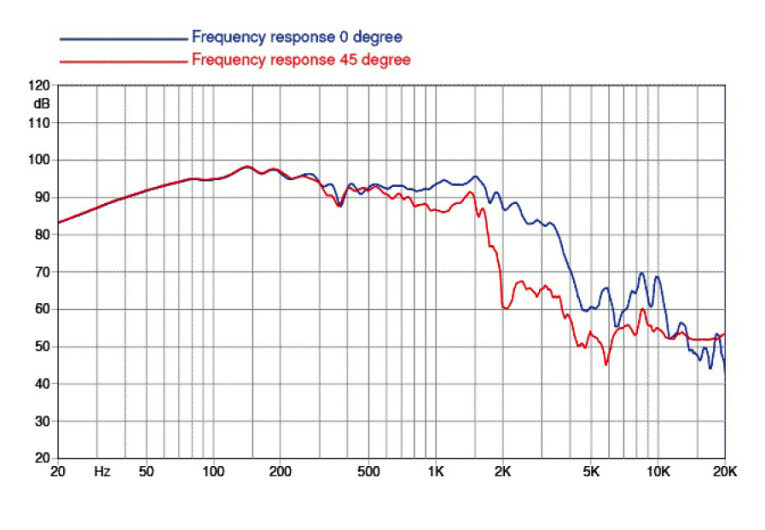 Figure 1: FaitalPRO 18HW1070 woofer free-air impedance plot. 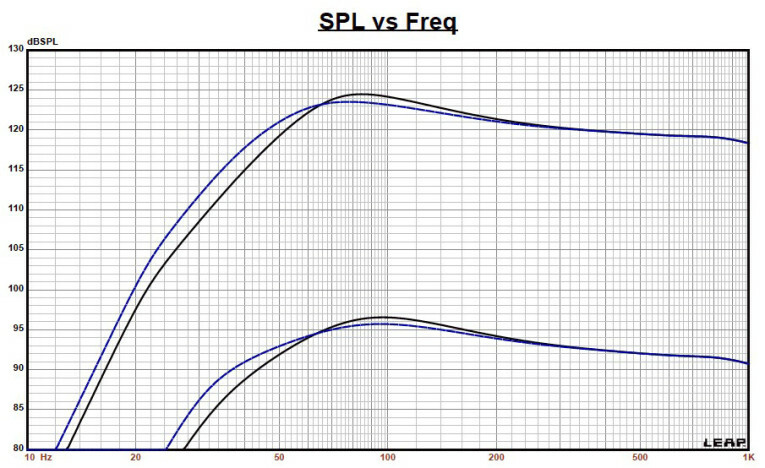 Table 1: FaitalPRO 18HW1700 woofer’s comparison data. Designated as a woofer for PA applications, the 18HW1700 is a high power handling woofer rated at 1,600 WRMS. The Audio Engineering Society (AES) standard is 3,200 W maximum power handling. The woofer weighs 32.4 lb. The 18HW1700 features a proprietary eight dual-spoke (16 supporting struts total) cast-aluminum frame that includes eight 6-mm × 35-mm vents located at the juncture of the frame and the front plate. 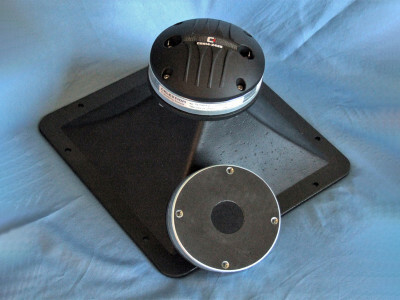 This design provides substantial air flow across the voice coil and the top of the front plate (see Photo 1). The cone assembly consists of an 18” curvilinear ribbed carbon fiber and a fiberglass loaded pulp cone, coated on the front side that incorporates a 6” convex dust cap. Compliance is provided by a three-roll M-shaped coated (sealed) cloth surround in conjunction with two 8” diameter flat-treated cloth spiders (dampers) mounted back to back to cancel out odd-order nonlinearity. A 4” (100 mm) diameter high-temperature nonconducting glass fiber voice coil former wound with a round copper wire winding drives the woofer. 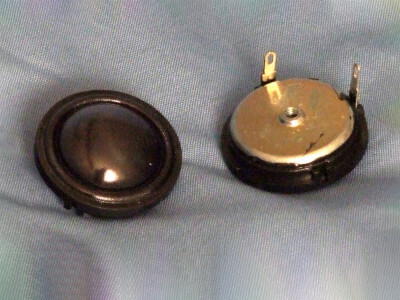 The voice coil is terminated to a pair of color-coded chrome push terminals. The motor assembly consists of a single 30-mm × 215-mm ferrite magnet sandwiched between a 15-mm × 210-mm diameter high milled, polished, and shaped front plate that forms the 15-mm gap area and a 26-mm × 210-mm diameter high-cast shaped T-yoke. The back plate cooling structure is fairly complex (see Photo 1).There are six 8-mm diameter peripheral vent holes. However, in place of a large single-pole vent, the 18HW1700 has a series of six 8-mm diameter vents that angle into the area below the T-yoke, plus five more 8-mm diameter vent holes placed at a different angle. The concept is to aim the air at different areas of the voice coil as it travels in this area. Three aluminum demodulation shorting rings (i.e., Faraday shields) are located above and below the voice coil. 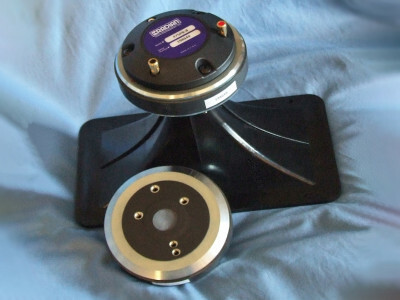 One of the demodulation rings is mushroom shaped and directs air flow around the voice coil. FaitalPRO engineering obviously spent considerable time optimizing the cooling and induced inductance on the 18HW1070’s motor. To test the 18HW1070, I clamped the driver to a rigid test fixture in free-air at 0.3, 1, 3, 6, 10, 20, and 30 V and used the LinearX LMS and VIBox to produce voltage and admittance (current) curves. Please note that I use a procedure that attempts to achieve the third thermal time constant on each sweep, so that LMS oscillator is turned on for a progressively increasing time period between sweeps. Following the established Test Bench test protocol, I no longer use a single added mass measurement. Instead, I used actual measured cone assembly weight that FaitalPRO provided at my request. Figure 2: FaitalPRO 18HW1700 computer box simulations (black solid = vented 1 at 2.83 V; blue dash = vented 2 at 2.83 V; black solid = vented 1 at 80 V; blue dash = vented 2 at 80 V). Figure 4: Cone excursion curves for the 80-V curves in Figure 2. Next, I post-processed the 14 550-point stepped sine wave sweeps for each sample and divided the voltage curves by the current curves (R = E/I) to generate the impedance curves, which then have the phase calculated. The LMS is a single-channel analyzer and does not measure phase, but it does have a highly accurate proprietary phase-calculation methodology that is a modified Hilbert transformation. 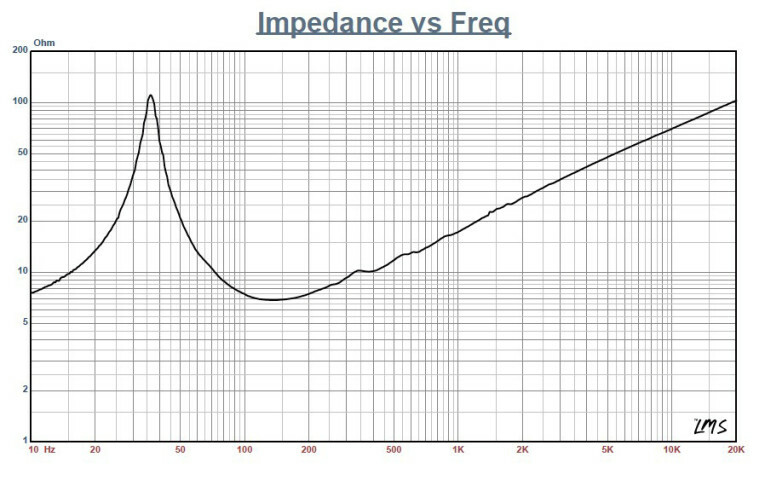 I imported these impedance magnitude and phase curves, along with the accompanying voltage curves, to the LEAP 5 Enclosure Shop software. Obviously, this is a more time consuming process than the usual low-voltage small-signal impedance curve technique used to derive Thiele-Small (T-S) parameters. I do this because the LEAP 5 LTD transducer model methodology results in a more accurate prediction of excursion at high-voltage levels, which is one of the LEAP 5 software’s fortes. Because most T-S data provided by OEM manufacturers is produced using either a standard modeling method or the LEAP 4 TSL model, I also created a LEAP 4 TSL model using the 1-V free-air curves. 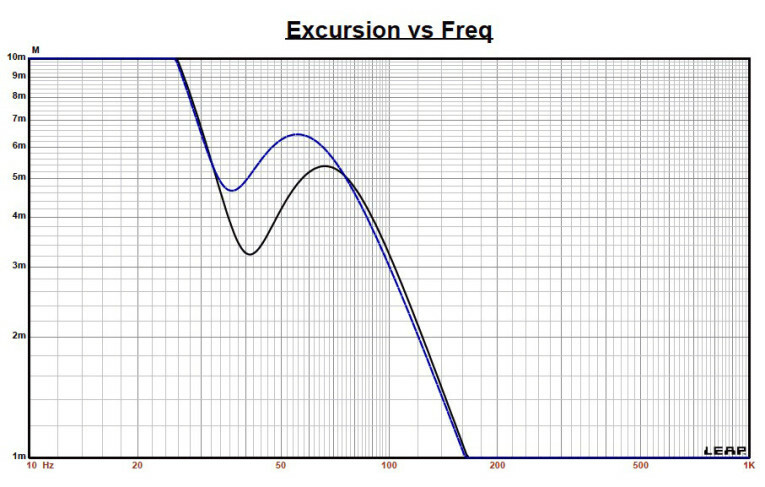 I selected the complete data set, the LTD model’s multiple voltage impedance curves, and the TSL model’s 1-V impedance curves in LEAP 5’s Transducer Derivation menu and created the parameters for the computer enclosure simulations. Figure 1 shows the 18HW1070’s 1-V free-air impedance curve. 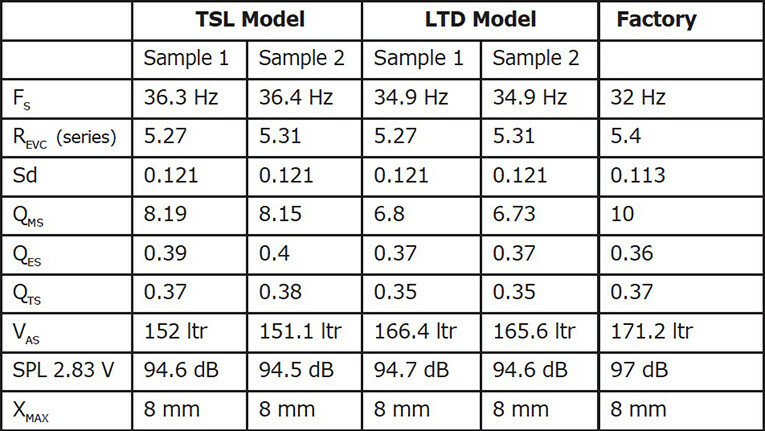 Table 1 compares the LEAP 5 LTD, the TSL data, and FaitalPRO’s factory parameters for both 18HW1070 samples. The 18HW1070’s parameter measurement results agreed with the FaitalPRO data. This is usually true when I measure pro sound woofers from companies such as FaitalPRO, which speaks to the transducer engineers at these companies. FaitalPRO is obviously no exception. 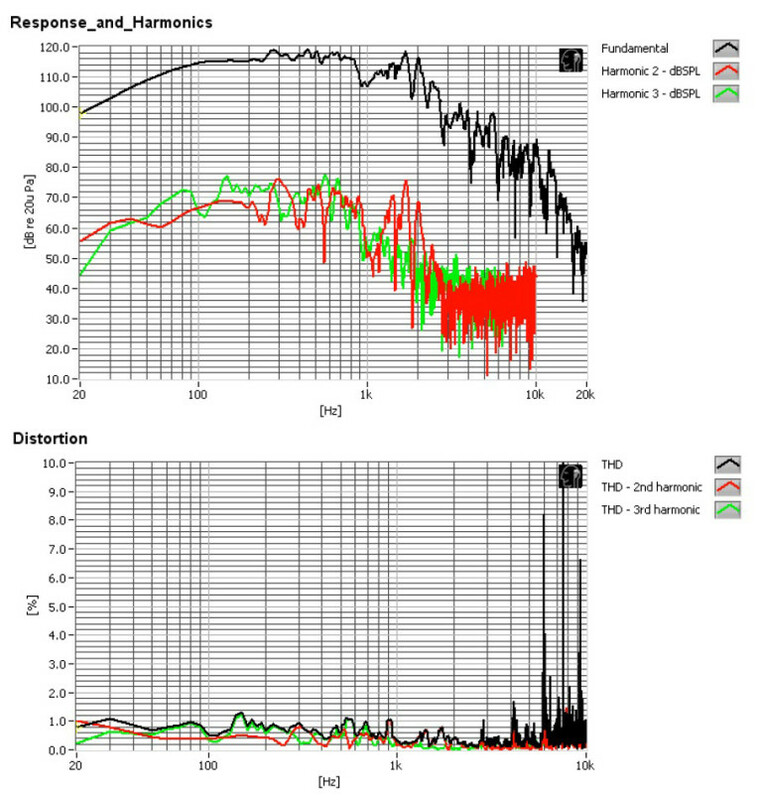 Next, I used the LEAP LTD parameters to set up two computer enclosure simulations for Sample 1. This included two vented alignments, a 2.6 ft3 QB3 box alignment with 15% fiberglass fill material tuned to 40 Hz, and an Extended Bass Shelf (EBS) alignment in a 4 ft3 vented enclosure with 15% fiberglass fill material and tuned to 35 Hz. Figure 2 shows the 18HW1070’s enclosure simulation results in the QB3 and EBS vented boxes at 2.83 V and at a voltage level sufficiently high enough to increase cone excursion to 9.2 mm (XMAX + 15%). This produced a –3-dB frequency of 57.7 Hz (–6 Db = 45 Hz) for the 2.6 ft3 QB3 enclosure and F3 = 48.5 Hz (F6 = 36.2 Hz) for the 4-ft3 EBS vented simulation. I increased the voltage input to the simulations until reaching the maximum linear cone excursion resulted in 124.5 dB at 80 V for the QB3 enclosure simulation and 123.5 dB at the same 80-V input level for the larger vented box. Figure 3 and Figure 4 show the 2.83-V group delay curves and the 80-V excursion curves respectively. Note that the voltage input was limited to 80 V as the XMAX + 15% number was exceeded below 25 Hz. With a 25-Hz high-pass, this woofer could easily have been driven several decibels louder using the same criteria. Figure 5: Klippel analyzer Bl (X) curve for the FaitalPRO 18HW1700. 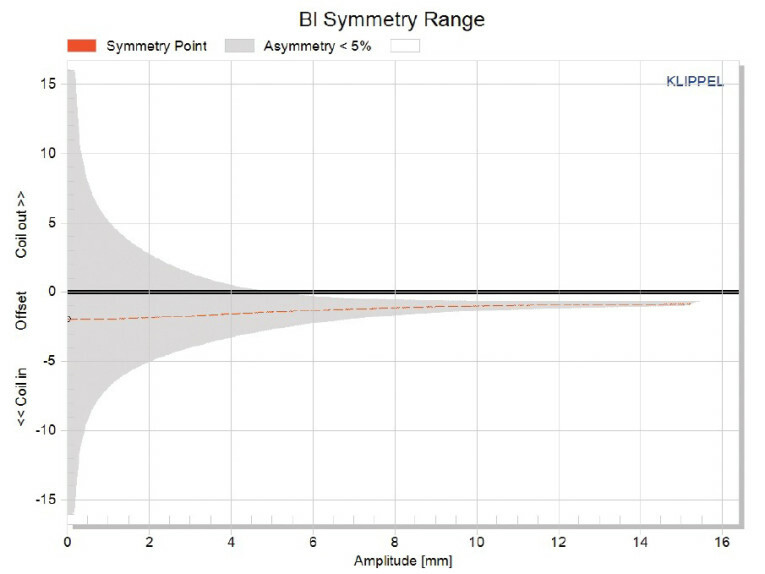 Figure 6: Klippel analyzer Bl symmetry range curve for the FaitalPRO 18HW1700. 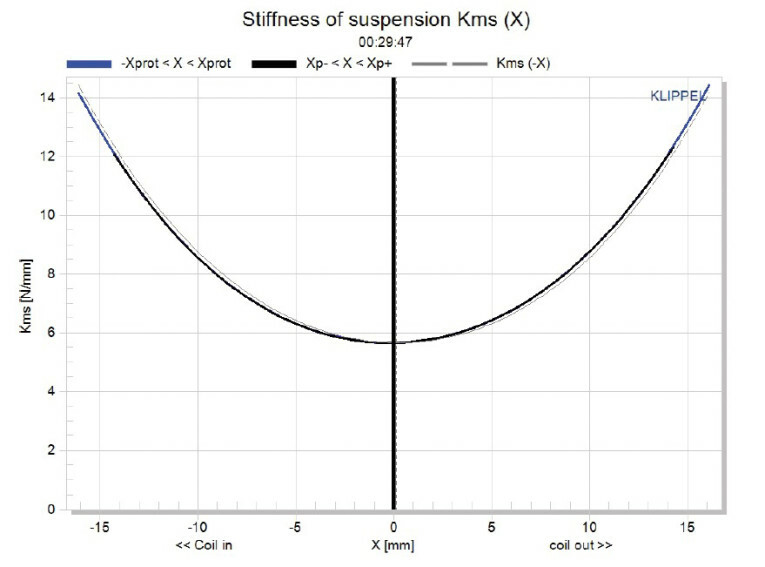 Figure 7: Klippel analyzer mechanical stiffness of suspension KMS(X) curve for the FaitalPRO 18HW1700. 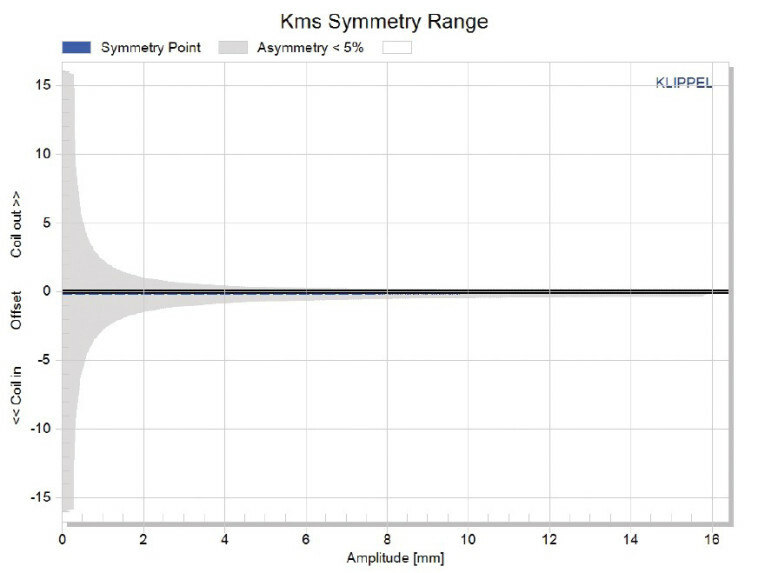 Figure 8: Klippel analyzer KMS symmetry range curve for the FaitalPRO 18HW1700. The 18HW1070’s Klippel analysis produced the Bl(X), KMS(X) and Bl and KMS symmetry range plots shown in Figures 5–8. The analyzer is provided courtesy of Klippel GmbH. 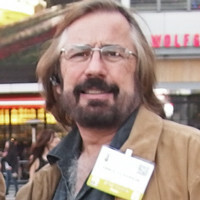 Patrick Turnmire of Redrock Acoustics performed the testing. The 18HW1070’s Bl(X) curve is nicely broad and symmetrical (see Figure 5). 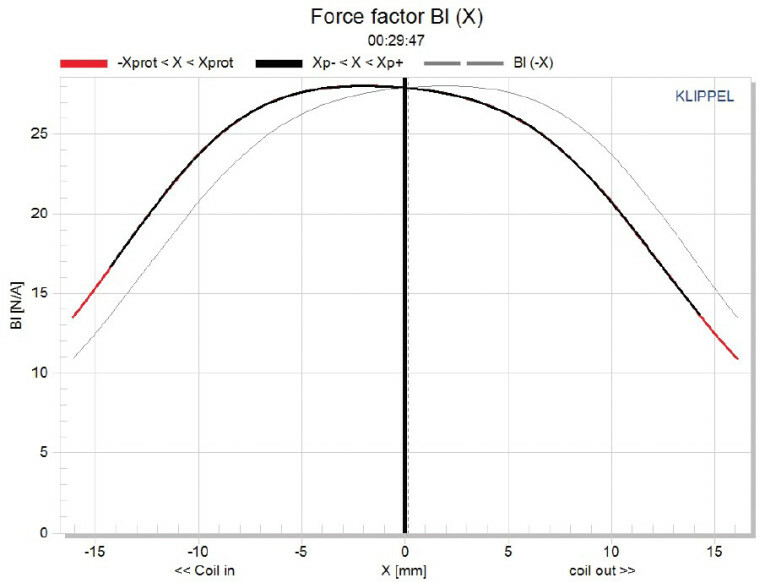 The Bl symmetry plot shows a small 1.9-mm coil-in offset at the rest position deceasing to about 1 mm at the driver’s physical XMAX, which is good performance (see Figure 6). Figure 7 and Figure 8 depict the 18HW1070’s KMS (X) and KMS symmetry range curves. The KMS(X) curve is perfectly symmetrical with virtually no offset, which is verified by the KMS symmetry range curve. The 18HW1070’s displacement-limiting numbers, calculated by the Klippel analyzer, were XBl at 70% (Bl decreasing to 70% of its maximum value) was greater than 10.7 mm and for crossover at 50% (compliance decreasing to 50% of its maximum value) was 13.2 mm (just beyond the physical XMAX). For the 18HW1070, the Bl is the most limiting factor for a prescribed distortion level of 20%; however, both numbers were beyond the physical XMAX, indicating a good high sound pressure level (SPL) performance. Figure 9: Klippel analyzer L(X) curve for the FaitalPRO 18HW1700. 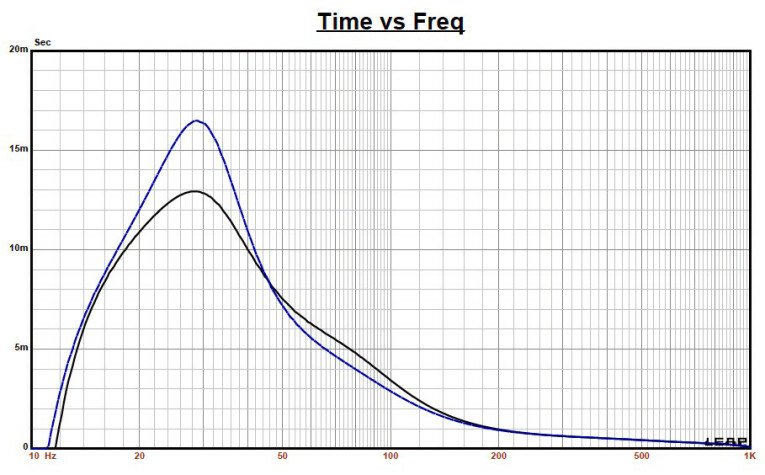 Figure 10: FaitalPRO 18HW1070 factory on-axis frequency response. Figure 11: FaitalPRO 18HW1070 SoundCheck distortion plot. 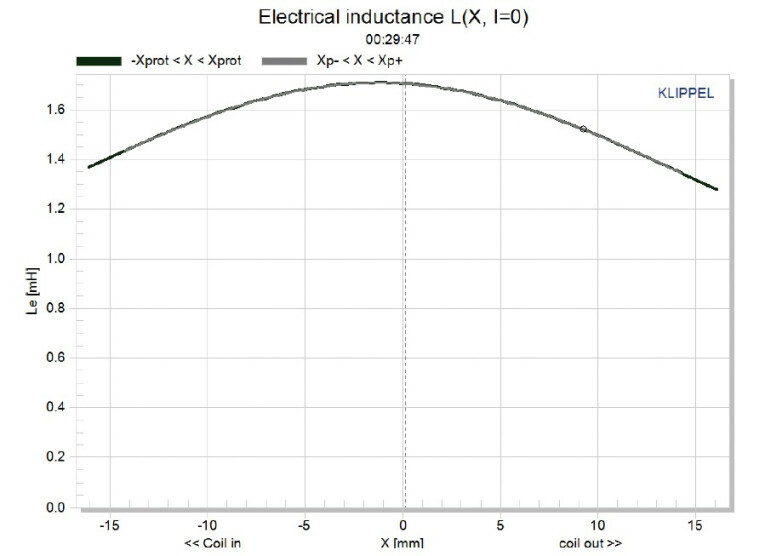 Figure 9 shows the 18HW1070’s inductance curve L(X). Inductance will typically increase in the rear direction from the zero rest position as the voice coil covers more pole area unless the driver incorporates a shorting ring. The 18HW1070 has a multiple shorting ring configuration, which minimizes the inductive “swing” from the rest position to the physical XMAX of less than 0.2 mH in each direction, which is key to clear, intelligible sound. I dispensed with the SPL measurements for the 18HW1070, mostly because I don’t keep 18” or 21” size cabinets in my inventory of test fixtures. However, Figure 10 shows the factory SPL curve. Since I decided not to perform SPL measurements, I moved on to the last group of tests. I used the Listen SoundCheck AmpConnect analyzer, Listen SC-1 microphone and SoundConnect power supply to measure distortion. To set up for the distortion measurement, I mounted the woofer rigidly in free air and used a noise stimulus to set the SPL to 104 dB (10.8 V) at 1 m. I used the Listen microphone placed 10 cm from the dust cap to measure the distortion. Figure 11 shows the resulting distortion curves.